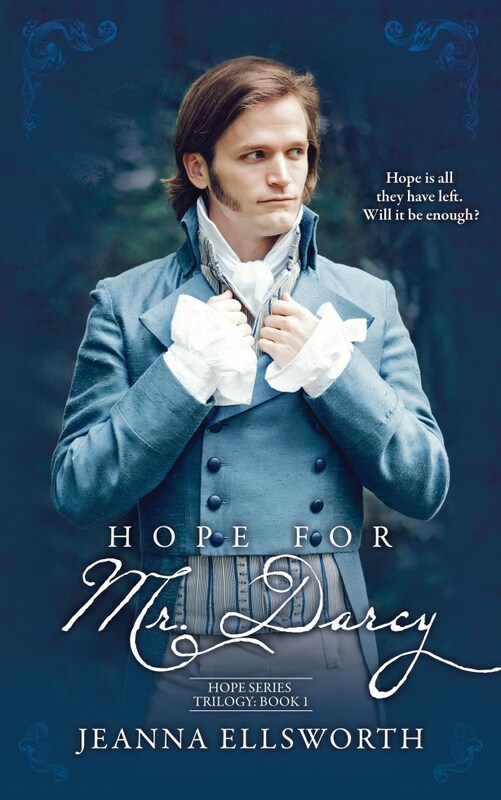 Hope for Mr. Darcy is more than an Austen inspired romance, it is a book that will lead us in a journey of hope and belief in something grander than ourselves. The entire book will use metaphors to show the reader that we all have a place in the world, a role to fulfill before leaving this plain of existence, and that love is the right inducement to make us choose a fulfilling life. After reading Mr. Darcy’s letter, Elizabeth falls terribly ill and in her delirious state writes Mr. Darcy a letter that will give him the hope he thought was lost. She loses conscience and calls for Mr. Darcy who will be at her side during those terrifying hours. While Mr. Darcy is at the Hunsford Parsonage by her side, Elizabeth remains in a delirious state and her mind takes her to a garden where she finds Mr. Darcy. The time they spend together at the garden (in Elizabeth’s mind because in fact they remain at the parsonage) will change Elizabeth’s perception of Mr. Darcy and of her role in life. The belief in something grander than ourselves is a vast part of this book which has a big religious component, so readers need to be aware of this aspect when reading the book. It requires either the belief in God or an open spirit to truly get immersed in Hope for Mr. Darcy, but if you can accept the premise, than you will enjoy it immensely. I know I did. The book is a clean romance which is something I always appreciate, and has some minor twists in the minor characters that I have also enjoyed; Mr. Darcy’s kindness towards Mary was interesting and as we rarely see these two characters talk it was a nice addition; and Lydia’s reaction towards Wickham was without a doubt a refreshing change. Mrs. Ellsworth also provided me great pleasure in what concerns Caroline Bingley and Mr. Collins, but even though Mr. Collins deserved what he was given, I confess I started to feel sorry for Caroline… maybe she will find her own happiness in the next books of the trilogy. The ending of the book was very interesting as the roles got reversed, and Darcy gives Col. Fitzwilliam hope the exact same way that he had received it from his cousin in the beginning of the book. This books is like no other I’ve read of before and I must admit the premise is quite intriguing! Lizzy lies unconscious while her spirit drifts off to a garden wherein she meets and spends time with Darcy…..yes,I’m definitely intrigued!!! As you say,if you can buy into the premise,then I’m sure it will be a wonderful read. This is a lovely review Rita. I really like this idea and can’t wait to see how it all works out. I do have this book on my wish list as it is very intriguing although I must admit I’m not a huge fan of the cover as this is not my vision of Darcy but I suppose everyone has different tastes. Thanks again Rita and Jeanna for the chance of a giveaway. I am all anticipation now that I have read your lovely review to read the book! Thank you! I have read her other books so this just moved up on my list. Sounds interesting. I have always been leery about hypnotism as I fear what i might say. And being unconscious due to an illness is a similar situation, We shall see what transpires. I don’t mind religious tones in a story as another layer to make it more thought provoking. I am intrigued by the unique situation here and that Colonel Fitzwilliam has a secondary story going on to the side. The trilogy sounds promising as a whole. Wonderful review, Rita! Jeanna writes so beautifully and with so much sentiment! She posted and excerpt from this book a while ago and it was so poignant! Can’t wait to read the whole story. Beautiful review, Rita. Your admiration really shines through! This series looks interesting and I like the premise of Darcy caring for Elizabeth… It’s so sweet, even though she doesn’t know how wonderful he can be, yet.